All guest rooms come equipped with microwaves, refrigerators, coffee makers, curved shower rods, desks, hair dryers, irons, ironing boards and cable television. Keep your electronic devices charged with the recharge device including AC and USB outlets provided in all guest rooms. In addition, some rooms feature whirlpool bathtubs. 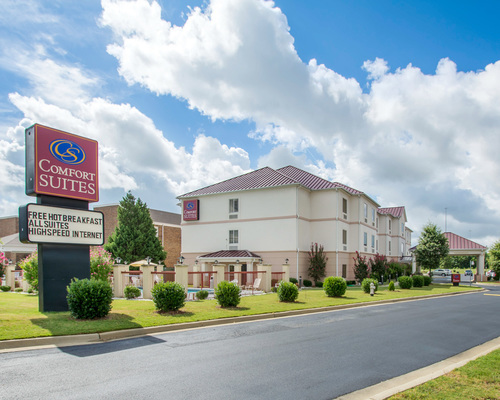 Whether traveling for business or pleasure, make the Comfort Suites hotel your home away from home when visiting the capital city of Montgomery, AL. Our friendly staff looks forward to providing you with true Southern hospitality.